Drew Dober is an American mixed martial artist who competes for the UFC. Check out this biography to know about his childhood, family life, achievements and fun facts about his life. Andrew Martin Dober is an American mixed martial artist who competes in the lightweight division for the Ultimate Fighting Championship (UFC). A professional competitor since 2009, he has also competed for Bellator MMA and Titan Fighting Championship. Having trained in MMA since he was 14, Dober was highly successful in Thai boxing, wrestling and Brazilian jiu-jitsu when he was in school. A two-time Amateur World Champion, he holds a 9-0-0 amateur record. The titles he holds include two-time Amateur Muay Thai World National Champion, Fight2Win Amateur Featherweight Champion, and Professional PFC Lightweight Champion. In his professional career, he has won bouts mostly either by KO, or submissions. In July 2017, as per the new weight-cutting rules of The California State Athletic Commission’s (CSAC), Dober weighed 18 per cent more than the specified weight of a competitor in the lightweight division. Consequently, he has been recommended to move up in the heavier weight class, but Dober thinks that he is still not ready to declare himself a welterweight fighter. Born on October 19, 1988, in Omaha, Nebraska, USA, Drew Dober studied in Millard North High School. 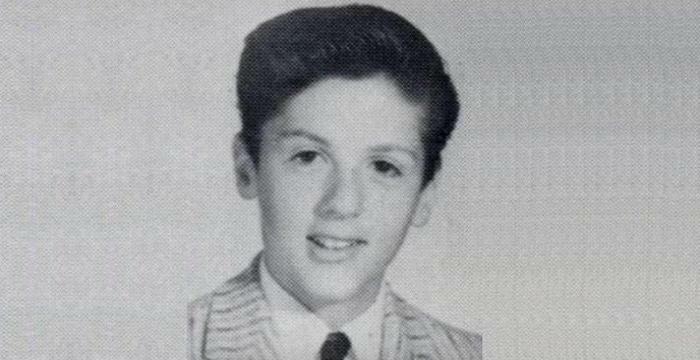 At the age of 14, he started training in Muay Thai or Thai boxing, in which he was quite successful. He went to a community college and pursued a business degree. A two-time Amateur World Champion, he also wrestled during his junior and senior years at Millard North High School. He holds a purple belt in Brazilian jiu-jitsu, which he achieved under Ed Shobe of Mid-America Martial Arts. Later, he moved to Colorado for further training. 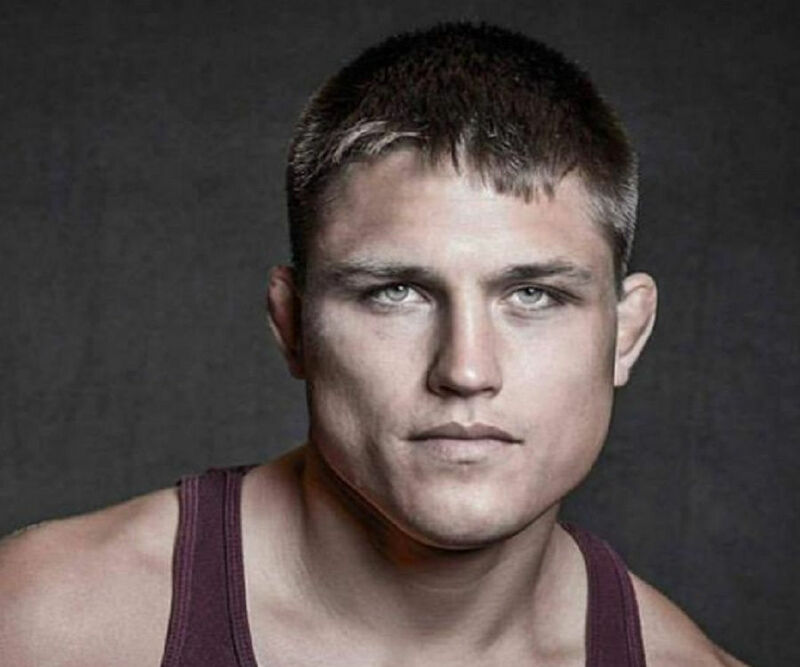 Drew Dober started his professional MMA career in 2009. On April 29, 2010, he faced Nick Nolte at Bellator 16, an MMA event by Bellator Fighting Championships, where he won the fight with the help of arm-triangle choke submission in the first round. He fought for various promotions including Victory Fighting Championship, the premier MMA organization based in Omaha, Nebraska, and Titan Fighting Championship, an American MMA promotion based out of Pompano Beach, Florida. In the next three years, Dober compiled a 12–2 record in these promotions. He then appeared on The Ultimate Fighter, the American reality television series and MMA competition produced by Fox Sports 1 and the UFC. In February 2012, Dober participated on The Ultimate Fighter 15. But unfortunately, he was defeated in the entry round by Daron Cruickshank. At The Ultimate Fighter 18 Finale on November 30, 2013, he participated in place of Sérgio Moraes, who was injured. Dober faced Sean Spencer, but lost the fight via unanimous decision. On May 31, 2014, he faced Nick Hein at UFC Fight Night: Munoz vs. Mousasi. They fought an arresting three-round war inside the Octagon. The fight was a close back-and-forth affair, and in the end, Hein was favored by the judges and declared the winner by unanimous decision. He fought former WEC lightweight champion Jamie Varner at UFC on Fox: dos Santos vs. Miocic. It was an MMA event held at US Airways Center in Phoenix, Arizona, on December 13, 2014, where Dober achieved his biggest win till date. He defeated Varner with the help of rear-naked choke submission in the first round. On March 21, 2015, he fought Leandro Silva at UFC Fight Night 62. He lost the fight due to a technical submission in the second round. The fight concluded in an interesting way. Silva tried to secure a guillotine choke, and dropped on to the mat with Dober’s neck secured in his arm. On the other hand, Dober tried to defend himself and moved to the side to come out of the guillotine and relieve himself from being choked. 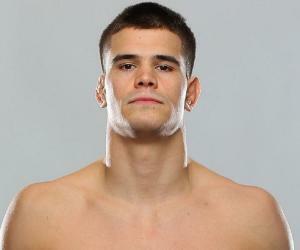 Silva seemed to be losing his grip on Dober’s neck in the struggle, while he was making efforts to set himself free. However, the referee stepped in and touched the fighters to make them leave each other and stand up. He, in fact, stopped the fight due to submission despite the fact that Dober never tapped and was in no danger of being choked from the hold. Silva was then awarded the victory. Despite the loss, UFC awarded Dober his win money. However, the Brazilian MMA Athletic Commission (CABMMA) declared the fight to be a ‘no contest’ as the referee Eduardo Herdy admitted his mistake. On June 13, 2015, Dober faced Efrain Escudero at UFC 188, at Arena Ciudad de México in Mexico City, Mexico. He lost the fight when Efrain Escudero held him in a guillotine choke in the first round. Dober was supposed to fight Erik Koch at UFC 195, an MMA event held on January 2, 2016, at the MGM Grand Garden Arena in Las Vegas, Nevada. However, in December, Koch pulled out of the fight as he was injured, and instead, Dober faced Scott Holtzman. He won the fight by unanimous decision. 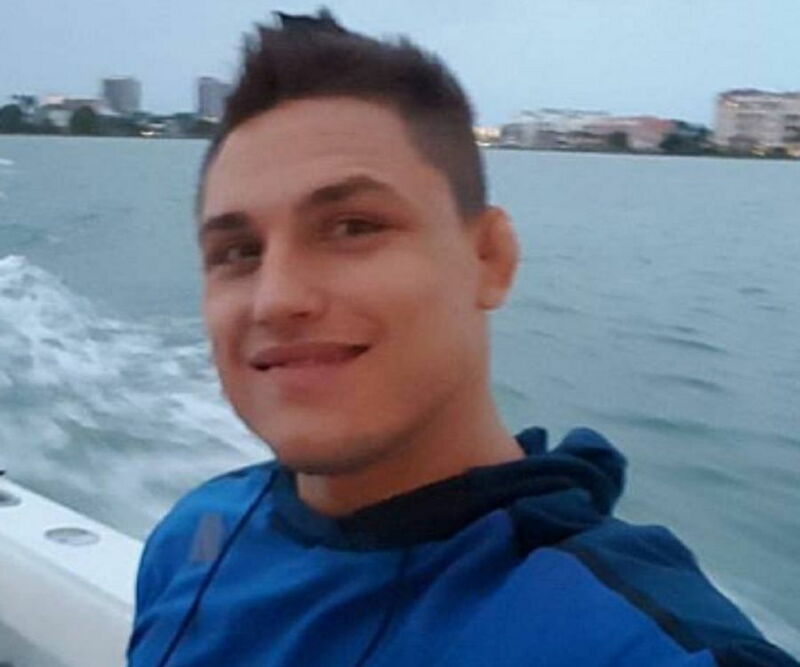 Drew Dober was supposed to face Islam Makhachev on April 16, 2016 at UFC on Fox 19. However, the bout got cancelled when Makhachev failed an out-of-competition drug screening, and tested positive for the banned drug anti-ischemic meldonium. Unable to replace him, UFC immediately cancelled the match. 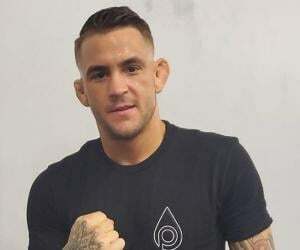 Next, he was expected to face Erik Koch at a rescheduled bout on September 10, 2016 at UFC 203, an event produced by UFC at the Quicken Loans Arena in Cleveland, Ohio. However, due to injury, on August 11, Koch pulled out of the fight once again, and was replaced by promotional newcomer Jason Gonzalez. Dober won the fight via TKO in the first round. On December 10, 2016, he faced Olivier Aubin-Mercier at UFC 206, an MMA event produced by UFC at the Air Canada Centre in Toronto, Ontario, Canada. He lost the fight due to submission in the second round. On July 29, 2017, he fought Josh Burkman at UFC 214, an MMA event produced by UFC at the Honda Center in Anaheim, California, in which Dober won by a knockout in the first round. As he came charging in, Burkman became alert, and put his defenses up and waited for the attack. Dober immediately hit Burkman’s chin, sending him crashing down on the floor for the knockout finish at the 3:04 mark of round 1. In July 2017, The California State Athletic Commission’s (CSAC) new weight-cutting rules significantly affected Dober. 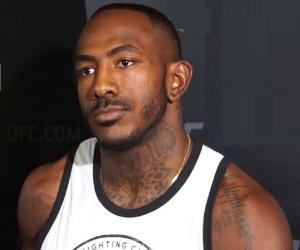 Following UFC 214 in Anaheim, Califonia, he was told he needed to move up in weight division or get cleared to fight at lightweight by a doctor. As per the rules, Dober weighed more than 18 per cent above the 155-pound limit. According to CSAC’s new rules, an athlete who weighs more than 10 per cent above the weight division could be recommended to move up in a heavier weight division as per medical evaluation. However, when Dober was given the news by CSAC, he said he was not yet ready to proclaim himself a welterweight. On May 31, 2014, after Drew Dober lost the fight to Nick Hein at UFC Fight Night: Munoz vs. Mousasi, he met Hein’s sister Gloria at Hein’s post-fight party that night in Germany. A friendship developed between them and soon they started dating. He married Gloria, who is a German, on May 27, 2016.